A strategic, high quality lead magnet is key to your business. Your sales funnel start with the lead magnet. 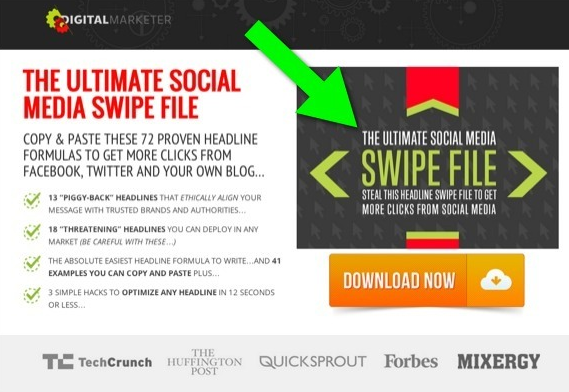 In this article, you’ll discover the blueprint for creating a lead magnet that converts. A lead magnet is something of value that you give away for free to potential future buyers in exchange for their contact information such as name, email, phone number, etc. Lead magnets don’t have to be lengthy or take a long time to create. Actually the best lead magnet is one where you deliver tremendous value withing 5 minutes of the person opting in for it. You deliver the lead magnet. You continue to follow up with them via email, giving them more value, discovering their needs and desires and selling your products. It’s a proven formula that works again and again and again. 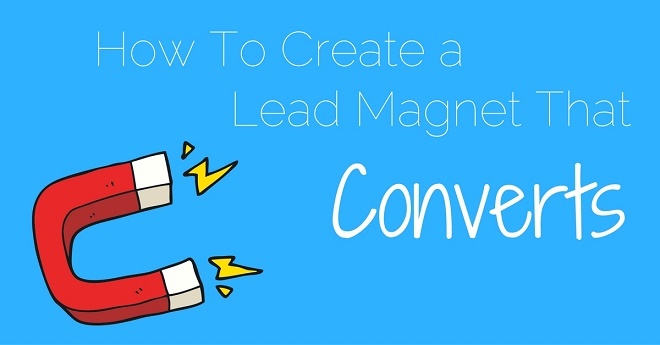 Lead magnets come in many different forms but they are usually some type of downloadable content such as an eBook, checklist, video series, or free coupon. Here are some examples of different types of lead magnets. Guide/Report – Often the most commonly used lead magnet, this is a free guide or report solving a specific problem your ideal audience has. Just be careful with this one as it is easy to make it too long and give away too much information so that your prospect never consumes it. Cheat Sheet – Similar to the Guide/Report option, the Cheat Sheet is usually a one page solutions or quick reference to help your ideal audience solve a pressing problem. These are usually very effective because they consolidate the main points into an easy to reference image or checklist. Toolkit/Resource List – Everybody loves resources lists. This is a list of the best tools or resources you know your ideal audiences would need. Webinars / Video – These provide a way for you to educate and provide great value to those who opt-in. Case Studies – Case studies are a great lead magnet because they show proven results of others overcoming the same problem your ideal prospect is struggling with themselves. Free Trial – Free trial offers are a great way to not only get an email address but also give your ideal audience a way to experience your product or service. Discount/Free Shipping – Everyone loves something free (or discounted). Offering free shipping or a discount on merchandise is a great way to collect leads and incentive sales. Quiz/Survey – Quizzes can be a great way to get new leads because the participants will opt in just to get their results. This one can be a little more involved to setup, but there are some great tools out there such as LeadQuizes to make it easier for you. Assessment/Test – These allow your prospect to get a free assessment. One example is Hubspot’s Marketing Grader tool. Again this one is more difficult to setup but can be very effective. To create an effective and high-converting lead magnet you simply need to create an irresistible bribe that compels your target market to exchange their contact info to get it. Specific Solution – Your lead magnets should provide a specific solution to a specific problem your ideal target market is struggling with. Make Just One Promise – Your lead magnet will be much more effective if it makes and delivers on just one big promise. Your prospect is searching for the “silver bullet”, so don’t give them a 6 week course or 50 page report. Give them the one thing they can do that will allow them to see a positive result. Speak To A Desired Known End Result – If you can figure out what your ideal prospect really wants and then deliver on that, you are going to have an incredibly effective lead magnet. For example, consider the lead magnet “The Dentist’s Guide To Internet Marketing”. The dentist doesn’t really care so much about internet marketing, they just want more patients. Since the lead magnet is not truly addressing their end desire, it would not perform well. Give Immediate Gratification – You want the consumer of your lead magnet to be able to quickly and immediately put your advice to work and see some results as soon as possible. Make Them a Believer – Your prospect needs to believe whatever your promising is achievable. Why is your solution different from all the others they have tried in the past. You want your lead magnet to give them a “little” victory so that they believe in you as well as themselves. High Perceived Value – Just because it is free doesn’t mean it should look free! Make sure you use professional graphics and images to imply real monetary value. High Actual Value – Not only should your lead magnet look and sound valuable, but the information within it needs to be of real value. You need to deliver on your promise. Create Easily Consumable Solutions – You want the freebie to be fast and easy for them to use and consume. Ideally you want them to be able to consume it in 5 minutes or less. Ready to get started creating your high converting lead magnet, I have created a simple workbook to help you through the process. 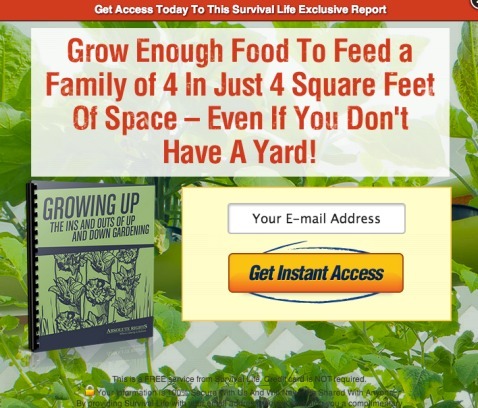 Click the link below to get your free copy. Comment below and share your best lead magnet. What do you think make an effective lead magnet?